A six-cent coil Prexie used to pay double the three-cent first class letter rate in effect from July 6, 1932 until August 1, 1958. 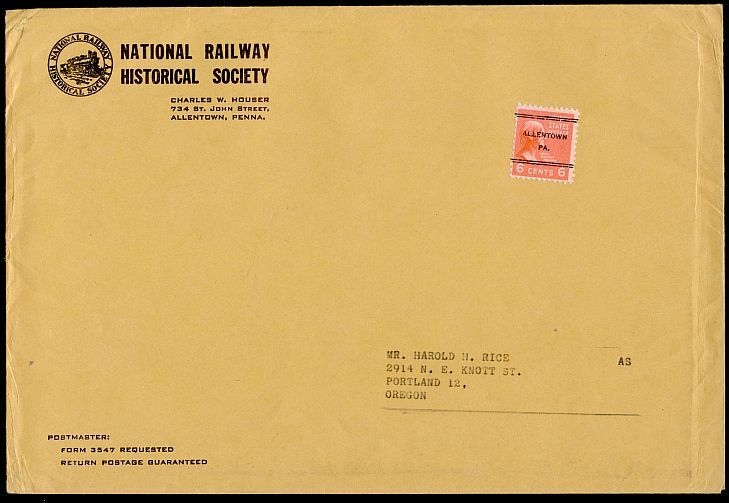 A cover sent at double the three-cent PUAS surface rate lasting from April 1, 1932 until November 1, 1953. 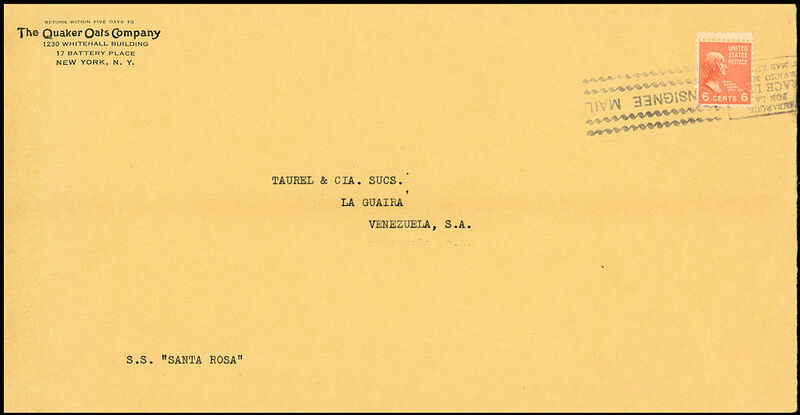 This cover, also sent at double the three-cent PUAS surface rate, did not enter the mails until it arrived at Venezuela. This six-cent Prexie paid either four times the one-and-one-half-cent per two ounces international printed matter rate in effect from April 1, 1932 until November 1, 1953, or more likely three times the two-cents per two ounces rate in effect from November 1, 1953 until August 1, 1958. 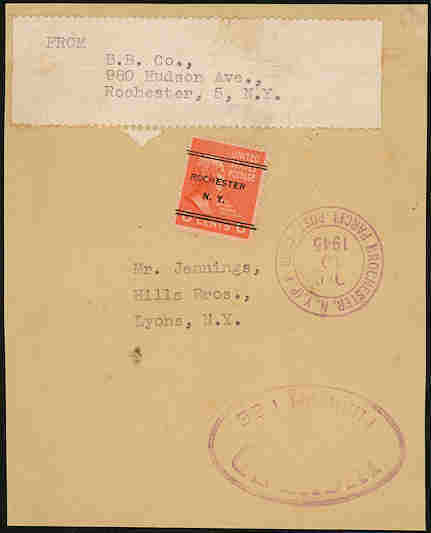 A six-cent Prexie used to send some sort of printed material. Two possibilities are four times the third class single piece rate in effect from April 15, 1925 until January 1, 1949 or the fifth step of the third class single piece rate in effect from January 1, 1949 until August 1, 1958. This is part of a wrapper sent in 1945 paying for two to four ounces at the third class rate of one-and-one-half cents per two ounces in effect from September 15, 1925 to January 1, 1949. The minimum insurance fee for indemnity of $5 or less was three cents from November 1, 1944 to January 1, 1949.